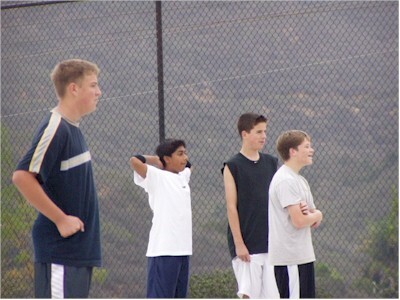 Scott's team for the Rancho Penasquitos Basketball (RPB) recreational league had a practice today. They have most of their practices at Hilltop Park, which is half-way up Black Mountain, with a beautiful view over Penasquitos toward the ocean. Four of the kids on this year's team were also on Scott's 3rd grade team, his first time playing basketball.